Footballer hangs up his boots and puts on his tap shoes! Former Manchester City, Wrexham and Northern Ireland midfielder Jim Whitley has exchanged his football boots for tap shoes as he prepares for a brand new comedy musical show set to hit Sunderland Empire for one night only, Thursday 2 August 2018. Crooners is a brand new comedy musical that puts a quintessential British twist to a genre symbolized by the Crooner with an exhilarating show full of satirical energy, hilarious one liners, laugh out loud silliness and superb musical numbers. When injury cut short Jim’s football career he jumped on the chance to get back to his love for music and rekindle his previous experience as a singer. His love for swing music, The Rat Pack and the Great American Song book soon saw Jim become one of the UK’s most in demand crooners on the theatre circuit, and he jumped at the opportunity to play homage to his crooner hero’s Sammy Davis Jr, Matt Monro and Bobby Darin. Crooner includes more than 20 all time classic crooner songs such as Mr. Bojangles, L.O.V.E, Mac The Knife and Beyond The Sea and features one of the best modern big bands in the UK, The Mini Big Band. Jim’s footballing feet have fared him well in his transition from football to theatre and he puts them to good practice in an extended Fred Astaire inspired tap dance routine feature. Jim broke into the theatre world with his portrayal of Nat King Cole in the production of Christmas Crooners and Strictly Swing before joining the Rat Pack tour as Sammy Davis Jr to critical acclaim. He is now excited to be part of this brand show that plays homage to music he loves, with one of the best touring big bands in the UK, and a quintessential injection of British comedy – tongue firmly in cheek. “And to have received the reviews and amazing feedback from our audience, it really is special”. This comedy musical is a collaboration between comedy writer and performer, Roman Marek, and one of the UK’s most prolific modern swing bands, The Mini Big Band, who are on a mission to lead a return to the British Variety shows of the past and celebrate this very British genre. 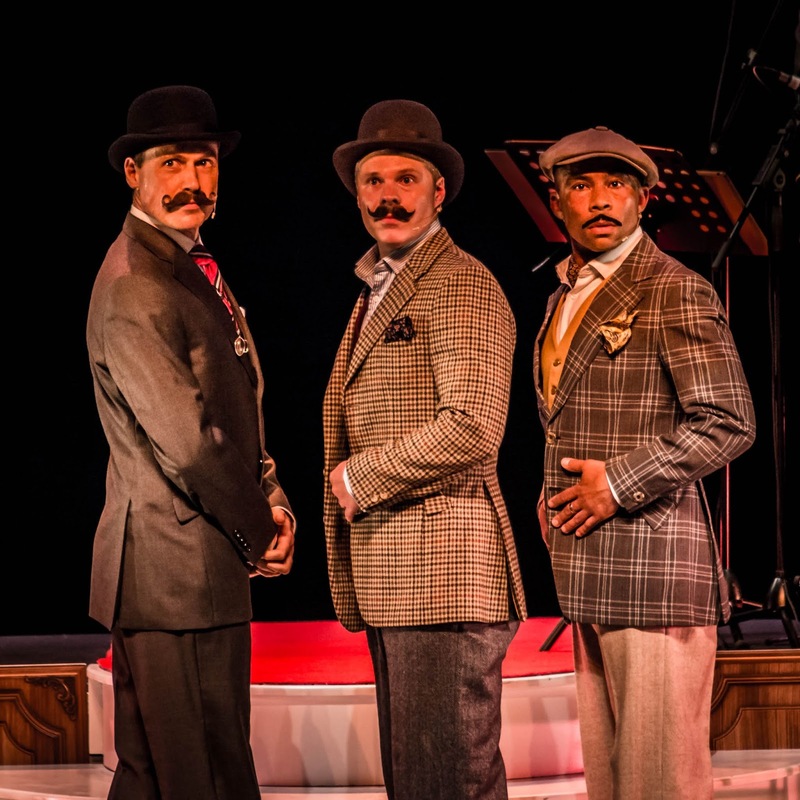 Crooners follows the story of three very British gentlemen who, by their very nature, exhume the characteristics of a crooner; suave, self-assured, stylish. But it is not always obvious that these characteristics adopt quite so well by the quintessentially British. Cue a splendiferous injection of British comedy, tongue firmly in cheek, as they pay homage to their comedy heroes of stage. The show features music of the greatest Crooners of all time; Frank Sinatra, Dean Martin, Sammy Davis Jnr as well as Tony Bennet, Bobby Darin and Britain’s very own crooner, Matt Monro, with a brand new comedy script that has had audiences smiling from ear to ear. “We wanted a show that makes British audiences laugh out loud. An all singing, all dancing musical comedy the likes of Morcombe and Wise” says script writer Roman Marek. 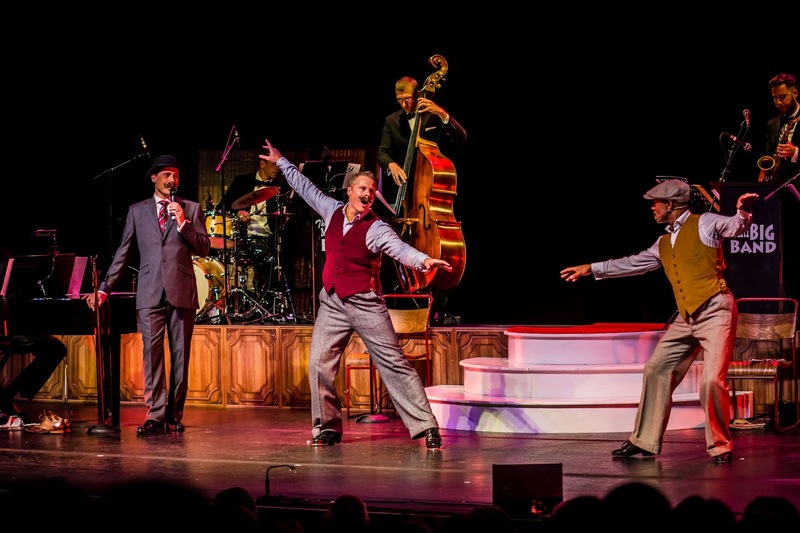 The show includes the fully live on stage musicianship of the 10-piece modern swing band The Mini Big Band and promises to be a truly British Swingin’ Affair. Tickets available from the Box Office on High Street West, via the ticket centre 0844 871 3022* or online from our affiliate ATG Tickets: http://bit.ly/CroonersSund *calls cost up to 7p per minute plus standard network charges. Booking and transaction fees may apply to telephone and online bookings.